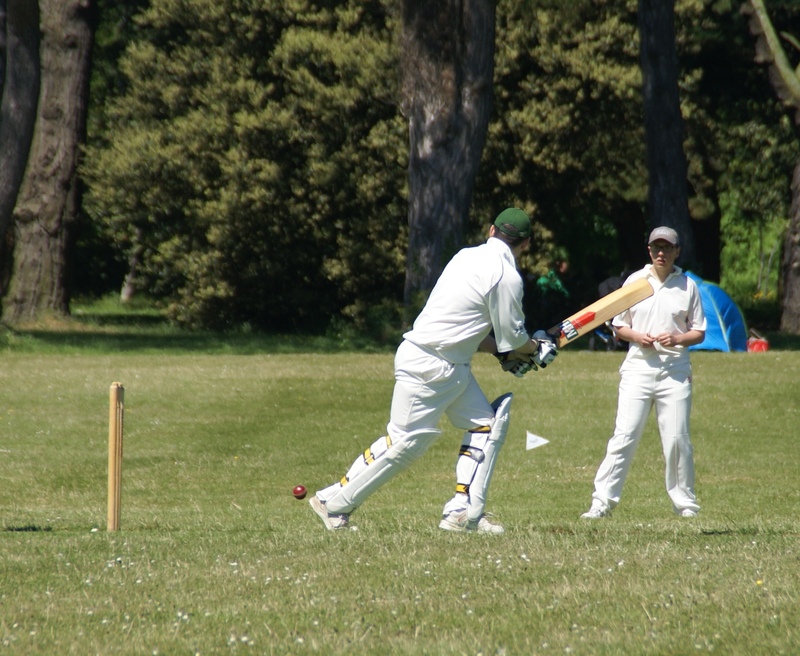 The 5th XI were back in Cup action for the third time in four games as they travelled to St Anne’s Park on a blisteringly (by Irish standards) hot day to face Clontarf 5th XI from Division 11 in the Junior Cup First Round. Phoenix had seen off Dundalk in the Prelim to reach this stage of the competition but they knew they were in for a tough test against a good side from a league above. Blue skies overhead and a new and good looking mat under foot were somewhat offset by the shaggy looking outfield That comes as no criticism of Clontarf who are at the mercy of the council when it comes to having the outfield cut at the ground. Clontarf won the toss and elected to field despite most signs pointing to the option to bat being the right thing to do but their reasons for putting Phoenix in would soon be apparent. Clontarf opened with Foley who bowled with good zip and aided by the bouncy mat and a little ridge just back of a good length, as he bowled down the hill, he got the ball to rear up to rib, shoulder and head high. It was good, clever and aggressive bowling from Foley who reaped his reward third ball as Mooney (0) fended one off the glove through to the keeper Kevin James. Scoring was very tough early on as Foley and Ayub hit good lengths and the fielding was very tight from Clontarf. A bad start became worse when Mumtaz (1) gloved one through to the keeper and they went from worse to crisis point when Walker (0) was cleaned up next ball. Phoenix were 4 for 3 after 4 overs and on the verge of a meltdown and a very early finish. Maginnis came to the crease and along with Moore started to find the odd run here or there. There was little value to be had with shots along the deck as they tended to snag and pull up very quickly. However the pair did their best to get things going again. Maginnis (8) departed next, though, as Foley kept up the pressure and knocked over his off stick with one that came back in. With Phoenix on the verge of collapse it was left to Chester and Moore to rebuild the innings. The experience of having batted together in the T20 game a couple of weeks earlier came in handy as the duo calmly played their way into the game and made sure there was no early capitulation by the 5th XI. Runs were still at a premium and Clontarf were very disciplined but the pair remained unflustered. There were some demons in the pitch. From Foleys end the extra bounce from areas it perhaps should not come was a challenging factor but at the other end there was seriously variable bounce off a good length. The pair battled hard and refused to buckle to scoreboard pressure or the good bowling of the hosts. They took the score on to 32 for 4 at drinks knowing wickets in hand would be the key later in the piece. The pair really picked up the pace after the break with Chester in particular hitting another gear. 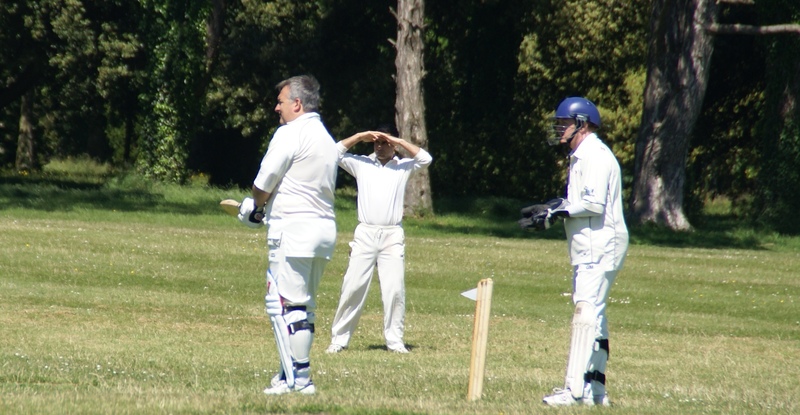 His willingness to play shots through the air saw him inject some seriously needed momentum into his side’s innings. He hoisted a maximum into the leg side but the shot of the day was an on drive that cleared the Long On boundary by a good 20 yards. The Phoenix pair moved things along to 90 for 4 after 30 overs and were looking to push on when things hit the skids. Moore (27) was finally out when he nicked one through to the keeper off a very good delivery from Kevin McDermott. Disaster struck for Phoenix when Chester (47) fell agonisingly short of a well deserved half century when he top edged one from the spinner through to the keeper. Phoenix had been in the habit of finishing most matches with 5 or 6 wickets down so far this season and this came back to haunt them as the tail was exposed. What had been 90 for 4 was to fall to 106 all out as only Mick McDonough provided a wag in the tail. That is not any kind of slight at the Phoenix batsmen who had not seen any time in the middle, for the most part, and struggled to get the ball away in tricky conditions. 106 was not the total Phoenix had in mind going into the innings but it was a lot more than it looked like they might get at one stage. Having reached three figures they at least had something to defend and, after a poor defeat a week earlier, they had some pride to restore in trying to defend a total. Clontarf showed they know how to play their own (infrequent) home ground as they were in no hurry to try and knock off the runs. The temptation for a lot of teams might have been to try and get away to a flyer and put the game to bed early. That would have been a high risk/high reward strategy given the pitch and conditions and Clontarf decided on a more measured approach. Ali Raza produced a superb spell opening the bowling and how he went wicketless is something of a mystery. His pace and bounce trouble the Clontarf openers, although they fought hard and dug in well, and could easily have reaped him some well deserved rewards. At the other end Mooney was economical as ever, despite his apparent frustration at his bowling, and the home side were held in check in the early going. They were just about on par with the run rate through the first 20 overs of the game. They did have the luxury of wickets in hand, though, and Phoenix needed to keep the intensity high in the field and hope for a breakthrough. Walker and McClean were excellent as ever in the field but Hazelden led the way and set the standard with a truly dynamic fielding display. 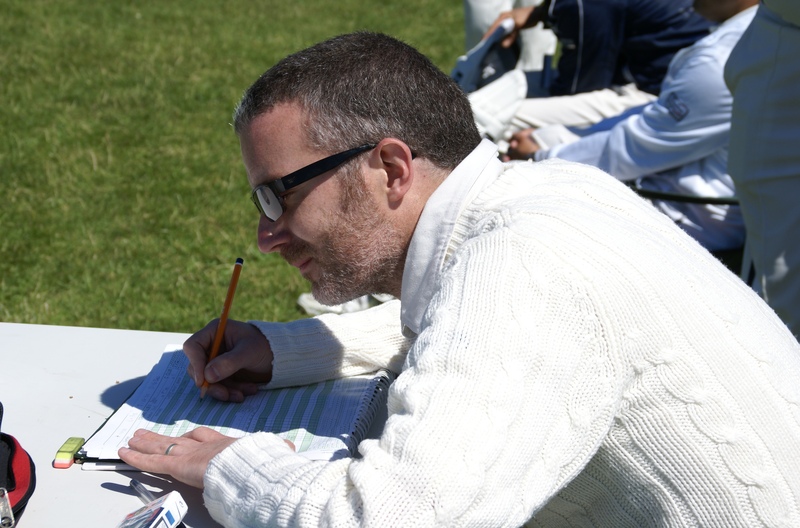 It surely set the benchmark for what is expected of any 5th XI fielder this season. Paddy took the chance to study for his Leaving Cert while on the sidelines. Here’s hoping he passes! Phoenix finally got a breakthrough when Shahzad Ahmad got his first wicket for the club when Quinn (14) flicked one through to Chester at slip. The old saying that one wicket gets another proved to be true but if Chester’s catch for the first wicket was a good one then the catch of his bowling for the second wicket ranks as superb. Foley (23) flashed hard at a delivery from Chester and the ball seemed destined to fly past Raza at first slip. Raza is considerably taller than most of the short arse 5th XI and he used every inch of his frame to reach up and pluck a one handed catch. It the second piece of brilliant close catching we’ve seen from him this season and surely it won’t be the last. When Chester struck to remove Duggan (0) it looked as though Phoenix were back in the hunt. However Mullins (45*) began to find his groove and he quickly took the game away from the visitors. Despite the loss it was a much better performance from the 5th XI. They fought hard and did not give up despite being behind the 8 ball from the first over. Chester showed the way with the bat, Raza with the ball and Hazelden with the fielding. MotM is a tough call and one we’ll leave for the skipper to make in this case! A big thanks to Clontarf for their hospitality and a good game played in the right spirit (thankfully given some recent experiences!) as well as an excellent tea. There will be multiple requests for mustard to be added to the upcoming 5th XI sandwich rotation no doubt! We wish Tom James and his side all the best for the rest of the competition.